St. Petersburg – Strange things are brewing up in St. Pete these days. And it’s not some trendy hipster IPA from the local spot, but a legit threat to conventional thought process when it comes to coaching baseball. The brewmaster of this brew-ha-ha is one named Kevin Cash. The native son of Tampa has been searching for the right ingredients to perfect his brew since taking over the managerial gig in Tampa back in December of 2014. Becoming the first local to manage the Rays and bringing his unique style of coaching to a city that’s used to the non-traditional. Ask Joe Maddon. Well let me tell ya, it’s working. 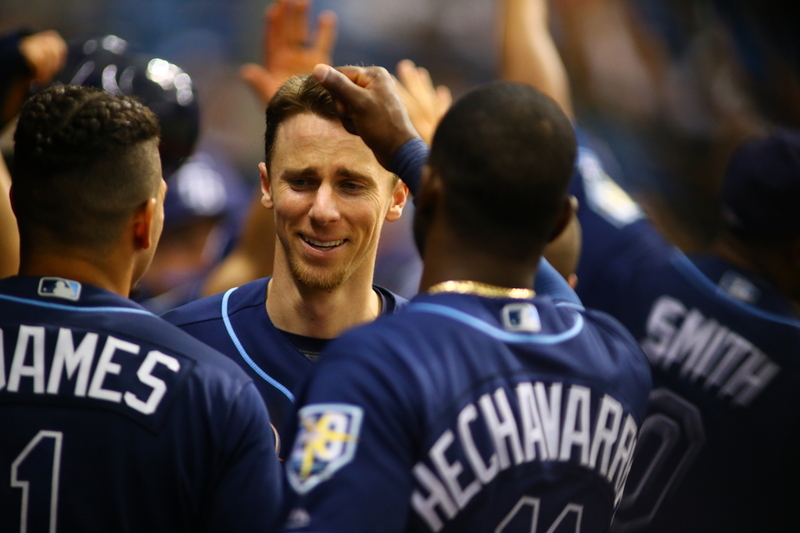 The Rays just finished its nine-game homestand against the Yankees, Nationals and Astros with an impressive 8-1 mark to move to 42-41 on the season. Yeah, no big deal right? Wrong! Cash is flying way under the radar while building confidence and an identity in his young ball club. We’re almost at the All-Star break and just passed the halfway mark of the season, and he’s led his club to a winning record this late into the season. A feat no one expected. You can thank Cash, or his slugging catcher Wilson Ramos, who provided another four RBI’s on Saturday night versus the Astros. We were there Saturday night to see what Astros ace Justin Verlander thought of “bullpen in reverse” and Ramos, it’s safe to assume he’s not a fan. Verlander came into Saturday’s tilt with some impressive numbers. His 1.82 ERA led the A.L. and his 1.34 road ERA was tops in MLB. That was about the only good thing Justin had going Saturday. The Rays pounced on him early all thanks to “The Buffalo”. Ramos, who was the American League’s leading vote-getter at catcher on the latest Camping World MLB All-Star Ballot voting update, came up twice in the first two innings with the bases loaded. He doubled home two in the first, then followed with a two-run single in the second to put the Rays up 5-0. Ballgame! This was the first time Verlander pitched with the bases loaded since joining the Stros last season. That happened twice within the first two innings. This was also the first time he’s allowed five earned runs since August of last year. The Rays got something brewing here and we like it. I always love a good innovator. Someone who goes against the norms in search of something new and original. So for that, let us raise our drinks and give cheers to game changers, the ones who think differently. The brewmaster responsible for this tasty refreshing glass of pilsner goodness. Hats off to Cash and co.
Nathan Eovaldi will start Monday when the Rays begin a three-game series in Miami against the Marlins at Marlins Park. Left-hander Wei-Yin Chen will start for the Marlins.